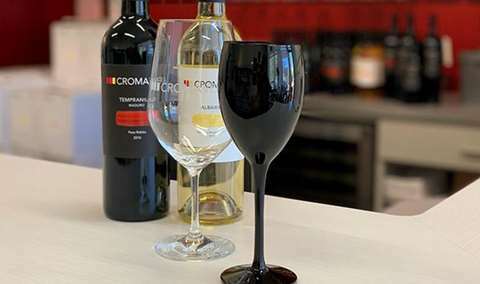 Whether you are new to wine or a connoisseur, this session will help you identify aromas in wine, increasing your tasting enjoyment and helping you to share your experience with others. 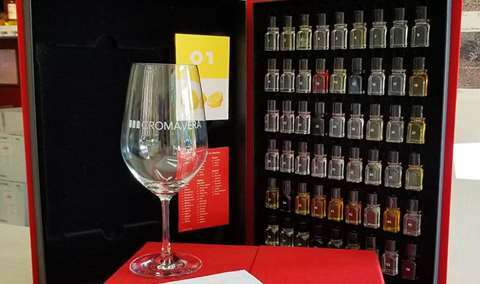 Join us as we taste through wines and explore aromas from the Le Nez Du Vin wine aroma kit. Together we’ll discuss which scents we are noticing in the wines and match them to aromas from the kit. This is a great way to increase your scent memory and your ability to put a name to what you are smelling. Each session will explore different aromas. Our wine aroma sessions can be taken in any order. No prerequisites required. Each session is limited to 12 people. Chris has over 13 years experience in the wine industry as well as 15 years in the restaurant business. He discovered his true interest in wine when he began working for the historic San Antonio Winery in downtown Los Angeles. Here he not only honed his tasting skills but also worked directly with the winemaker in choosing wines for submission to major competitions and co-hosted wine education classes. Chris left San Antonio Winery to co-found LA Wine Guide - an organization that hosted events to introduce winemakers and winery owners to new clientele through wine and food pairing dinners. In 2014 he became floor Sommelier and wine manager at Ciao Cristina, a popular Italian restaurant in Burbank, CA. Since his recent relocation from Los Angeles, he is thrilled to be part of the Croma Vera team and relaxing into the SLO life!